Ilse Reimnitz introduced me to monotype printmaking and Quartermaster Press 20 years ago. She is a great friend and mentor. I always enjoy talking with her and every time we teach a workshop together I learn something new from Ilse. Ilse Reimnitz has an innate sense for asymmetrical composition. She is a master of watercolor and monotype. Her success in both mediums relies on her ability to subtly layer texture and imagery. What often first appears to be a simple though elegant composition upon a closer look is revealed to be complex, mysterious, and texturally rich. 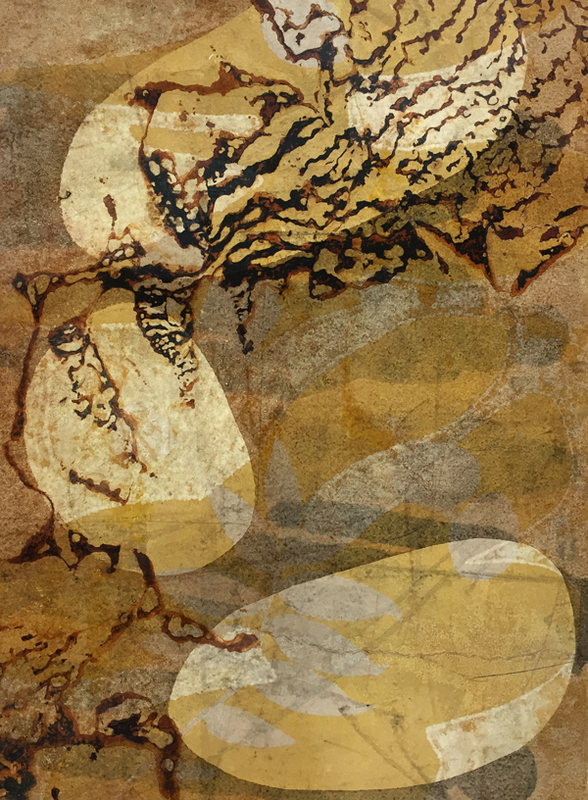 The QMP 25 Retrospective Exhibit, April 6 - May 25 at Vashon Center for the Arts will include Ilse's monotype "Current" 29 x 21 in.